INCOMPATIBLE WITH CURRENT GAME VERSION - I don't know if I'll be able to update this mod any time in the near future, I wrote it so long ago I've basically forgotten nearly everything about how I wrote it. Was kind of like working in assembler language to edit the user interface I remember that much! If I can find any notes I left myself regarding the mod an update may be possible in the future. 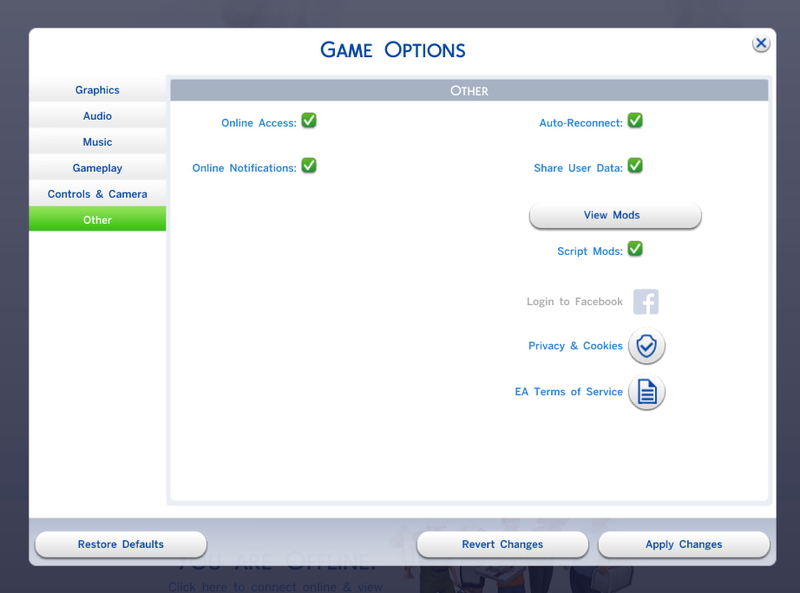 Although I was trying to get full edit mode always working, this is still pretty useful as I know a lot of people would like to be able to change tattoos on a sim after creating them. Still inaccessible is the fatnes/fitness sliders, and full body modifcations (although you can choose a new "set" body type). I'll keep plugging at enabling the full edit mode when I get the chance. The mod was written and tested on the latest game patch level (February 4, 2016 - version 1.15.55), but may work on any version of TS4 past the "Get Together" patch (December 4, 2015 - version 1.13.104). 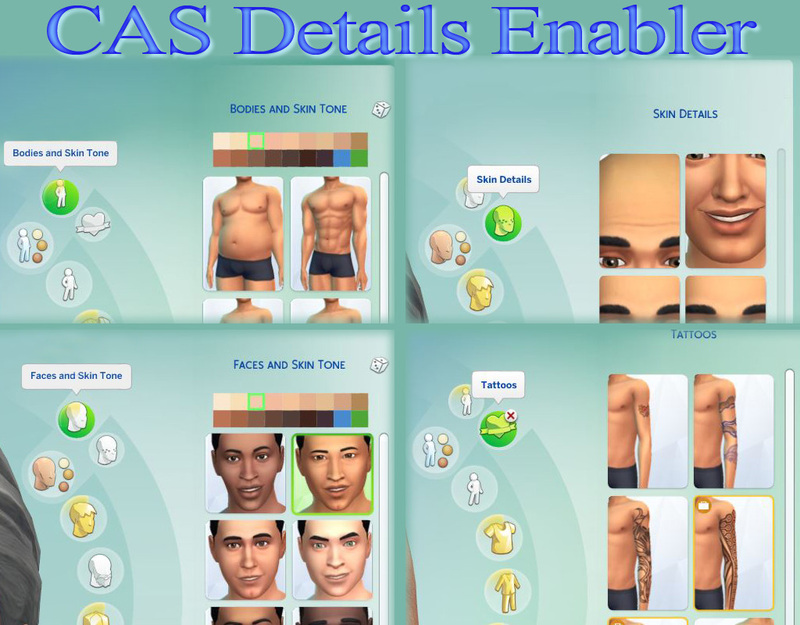 This mod will conflict with any other mods which alter this portion of the CAS user interface, specifically the cassimcontextmenu (S4_62ECC59A_00000000_CAEE355CE0B704F7). Due to the wide variety of mods and sources for them, it is unlikely I will be able to help you with such a conflict.